Successfully saved Frosted Soft Sugar Cookies to your Calendar. You can also save the ingredients to your Grocery List. Frosted Soft Sugar Cookies – Super SOFT sugar cookies that just melt in your mouth!! 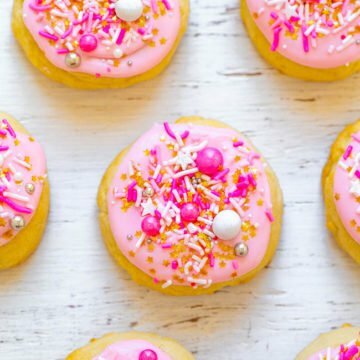 If you’ve ever thought that sugar cookies can be boring or dry, this EASY recipe with frosting and sprinkles will change your mind! Absolutely DELISH! !